My nine-year-old daughter was always shy, but I’ve put her into activities. The principal just told me she’s in a group of bullies. You could’ve hit me over the head with a baseball bat, and I still wouldn’t have believed it. I’ve been divorced from a very abusive husband and father. We were scared of him, but he moved across the country and she never sees him. I got my daughter into a great charter school, but she doesn’t listen and gets angry often. 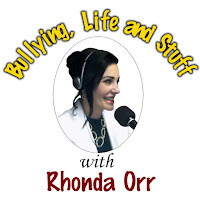 I talked with her about being a bully and why bullying hurts. She tried to make excuses and blame her father. She didn’t seem to care. It’s great that you gave your child ownership and accountability of her problem and still you’ll help her through the traumas you both face. Oftentimes, parents aren’t aware of their children’s unacceptable behavior, because they act differently at home. 1. Bullying is abuse and a desire to have power over others. 2. It’s deliberate and intended to harm someone. 3. It’s repeated over time. 4. Victims are perceived as vulnerable. At least 1 in 4 children are bullied at school. Approximately 30 percent of students admit to bullying others. 70 percent of students and staff witness bullying daily. Bullying has surpassed kidnapping as parents’ number one worry for their children. 160,000 students – across the nation – miss school daily because of it. Does she need to be in control? Are her social skills and values developed? Does she attack others before she’s attacked? Is she intentionally excluding people? Is she concerned with being popular? These questions may help her learn about her self-worth and the worth of others. “Tapping” developed by Dr. Robert Callahan – sending signals to the brain by stimulating meridian points to diminish trauma. Eye Movement Desensitization and Reprocessing (EMDR) – nontraditional psychotherapy, used especially for post-traumatic stress disorder (PTSD), which diminishes trauma while removing body memories. Spiritual development – through a belief in God, or other spiritual concepts. You can definitely help her define herself with dignity.